Winegard LNA-200 XT Boast Preamplifier (Preamp) mast mounted preamp with internal power supply. 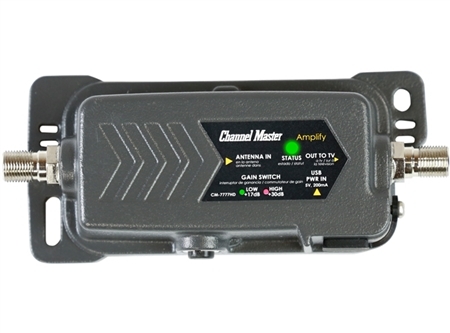 Giving a 20 dB gain on VHF and 16dB on UHF extremely low noise and has overload resistance. Boasts at the head of the antenna. Powered through RG6 Coax. 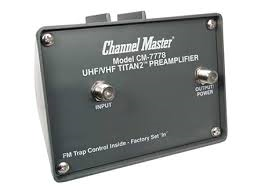 Channel Master 7778 (CM-7778) Preamplifier (Preamp) mast mounted preamp with internal power supply. Giving a 16 dB gain at the head of the antenna. Powered through RG6 Coax. Channel Master 7777 (CM-7777) Preamplifier mast mounted with internal power supply powered through RG6 coax no need to run seperate line. Giving a 30 dB gain. 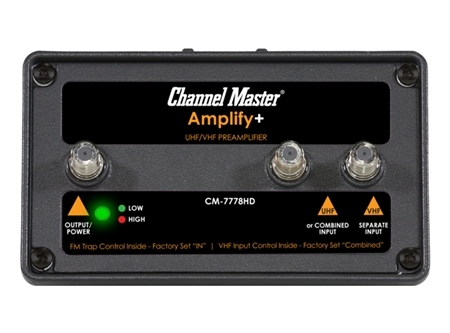 Channel Master 7778HD Amplify+ Adjustable gain Preamplifier (Preamp) for professionals, mast mounted preamp with internal power supply. Boasts at the head of the antenna. Powered through RG6 Coax. Winegard AP8800 Preamplifier (Preamp) mast mounted preamp with internal power supply. Boasts at the head of the antenna. Powered through RG6 Coax. 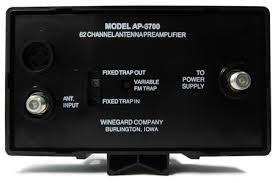 Winegard AP8700 Preamplifier (Preamp) mast mounted preamp with internal power supply. Boasts at the head of the antenna. Powered through RG6 Coax. 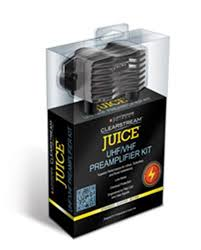 This unit acts as a replacement power supply for Channel Master preamplifier units. 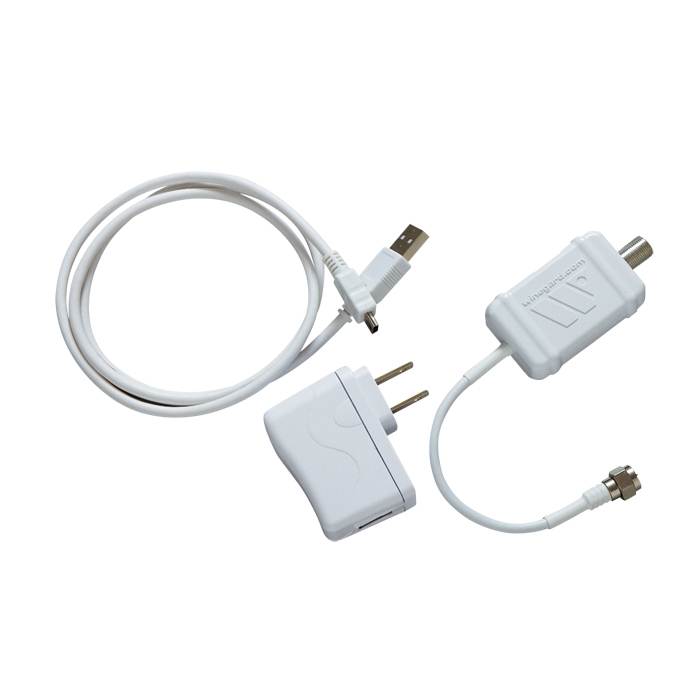 This unit will power the amplification units through the coaxial cable. 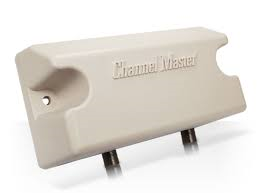 The CM0747 is compatible with Channel Master’s current line of preamplifier units. 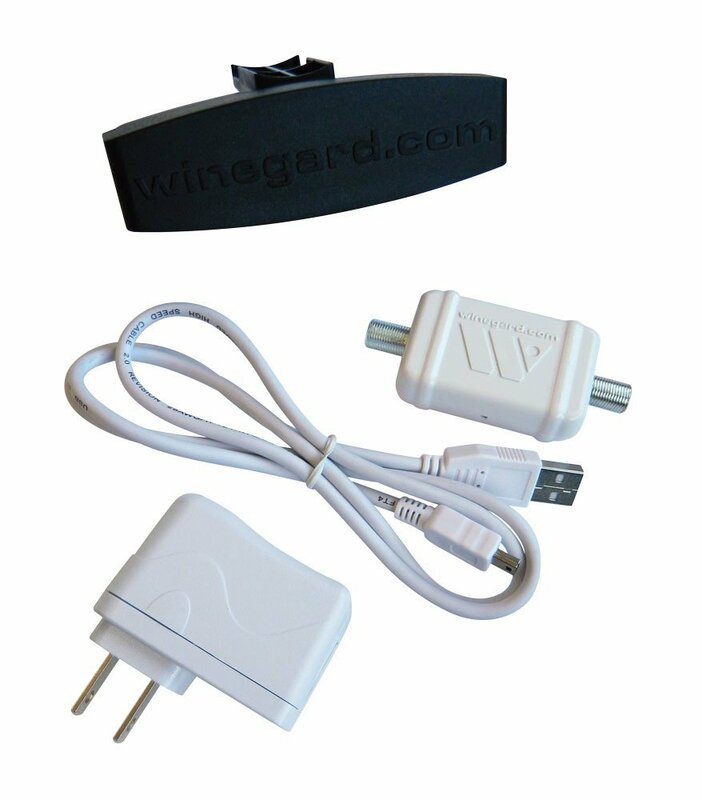 Winegard LNA-100 Boost Amplifer for use indoors to boast up your HDTV antenna signal. The Channel Master 7777HD is an adjustable gain Preamplifier that can be installed either indoors or outdoors depending on your application. 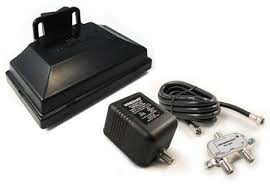 Solid cast metal design with a USB power supply.